hd00:11MINSK. BELARUS - 21. 05.2018: Flooded streets after heavy rain in the city. 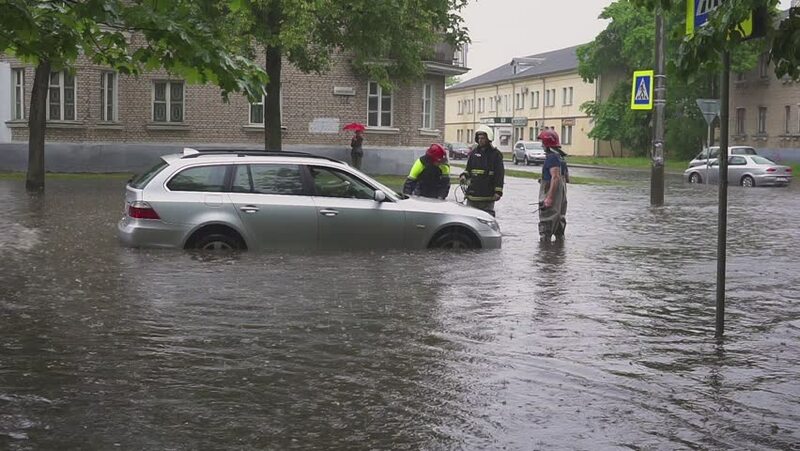 Rescuers evacuate recessed broken cars in the European city.